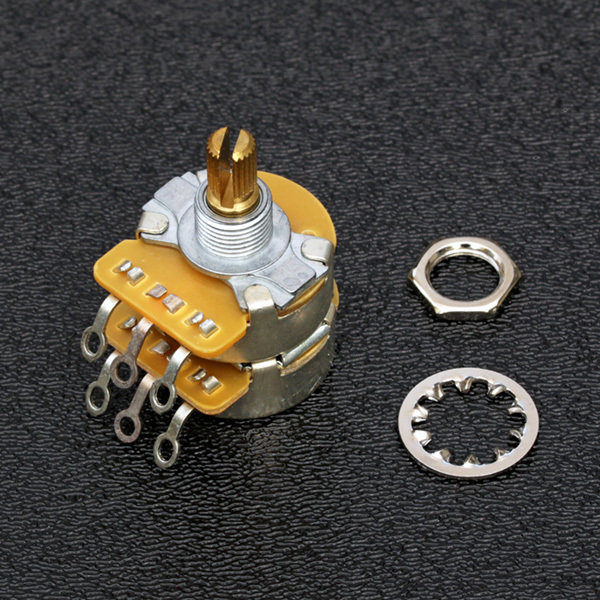 Genuine Fender® Dual 500K / 250K Split Shaft Potentiometer. Accepts standard plastic push-on knobs. Typically used in HSS Strat's so you can have the appropriate value potentiometer for the volume position to retain a correct tone for both the single coils in the middle and neck positions as well as the Humbucker in the bridge position. This is the same dual pot potentiometer used in the volume position in Fender's HSS American Standard, Elite and Professional Strat's.